London, Aug 28 (Just News): A British MP who is the niece of Bangladesh’s Prime Minister Sheikh Hasina has called on her aunt to release an arrested photojournalist and artist who regularly exhibits in the UK. 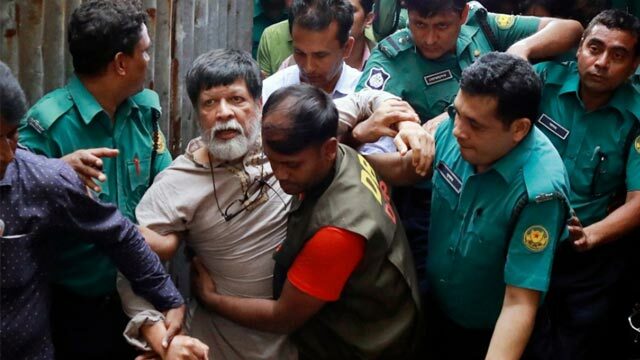 Tulip Siddiq, the Labour MP for Hampstead and Kilburn, said that the detention of Shahidul Alam by the government led by her aunt Sheikh Hasina Wazed was “deeply distressing and should end immediately,” according to the British newspaper The Times. Bangladesh “must uphold international standards of justice in treating its own citizens”, Tulip was quoted as saying according to the report published today. “I would hope our Foreign Office will convey that message in stark terms to a country that is seen as a close ally,” she added. Amartya Sen, who won the Nobel prize for economic sciences, this weekend demanded Mr Alam’s immediate release, adding to calls from Sir Richard Branson, Sharon Stone, Richard Curtis, Archbishop Desmond Tutu and many others. Mr Alam, 63, was arrested on August 5 in Bangladesh after reporting on schoolchildren’s protests about poor road safety in the country. He has since claimed that he has been tortured. Mr Alam has UK residency and his work has been displayed at Tate Modern, the Whitechapel Gallery, MoMA in New York and the Pompidou in Paris. He was arrested under Section 57 of Bangladesh’s Information Communications Technology Act. The law, described by Human Rights Watch as draconian, threatens ten years of imprisonment for publishing or transmitting material that is likely to “deteriorate law and order”. Mr Alam was arrested at his home by more than 30 officers after he had been photographing the student protests and after he had given a television interview about the situation.